As an artist or artistic director, you are aware of the importance of creativity and know-how. In order to allow you to realise your artistic work in the best possible way, I propose tailor-made solutions for all management aspects of your project. My consultancy is based on a broad knowledge in management and finances, many years of practical experience in the international arts sector and a profound understanding of production processes of artistic projects. Through my experience as managing director of several international festivals, I have a large European network and knowledge of national and international funding structures and grant-regulations. I am pleased to offer this experience and knowledge to facilitate exciting artistic projects. Last May, I gave two seminars for producers in the performing art: One at Kampnagel in the frame of the academy for producers of the German production houses about financial management, and one in Brussels in the frame of kunstenfestivaldesarts about Strategies for an international production (the presentation can be found here). I had fun! Since March this year, I am following a training as a Systemic Organisational Consultant at Artop – Institute of the Humboldt University in Berlin (more information in German here). During the first modules, we have seen the basics of systemic consultancy and the different levels of consultancy and experienced groups. Until the end of the year, we will learn how to move groups, how to moderate and organize workshops and how organisations work. First conclusion: exhausting, but really inspiring! Currently, you can visit the first edition of the Ruhrtriennale under the direction of Stefanie Carp (more information here). Since May, I am supporting Stefanie and her team in the development of the projects of 2019 and 2020. An exciting and interesting job! Last year, I developed together with my partner Thomas Kulke and the company Mobidev a software to facilitate the financial management of cooperation projects in the frame of Creative Europe. In the meantime, the software has been introduced at four larger scale cooperation projects started in 2017. That means that more than 100 cultural organisations all over Europe currently work with the tool to ensure a high quality financial management of their Creative Europe project. More information about the software can be found here. This week, I will start a training of 18 months of Systemic Organizational Consultancy at Artop – Institut of the Humboldt-Universität Berlin. My aim is to add to my practical experience of administrator of cultural organisations some scientific foundation, tools and instruments of the systemic consultancy. I am extremely looking forward to this new experience. In the last weeks, I was much interested in the theme of alternative ways of management. Please find here an introduction (only in German). Feel free to share and comment. Together with my partner Thomas Kulke and the company Mobidev, I conceived and developed a web-software for the management of projects in the frame of Creative Europe. The software is now ready for use and will be tested in a first project. We are enthusiastic and extremely curious to see if other project managers of EU-projects will share our enthusiasm. Since beginning of March and until end of June, I am assuming the function of interim manager of the Kultur Ruhr in Bochum that organizes amongst others the Ruhrtriennale. After the first weeks I can say: an extremely exciting mission with a highly professional team. From July, Vera Battis-Reese will take over the management of the organisation. The focus of my consultancy for developing new projects is set on cohesion between artistic content, organisation and management. I advise you in defining the project aims, developing and implementing working structures and procedures, on budgeting and identifying sources of funding, as well as on the recruitment and training of collaborators and all other managing aspects of your project – either on a short-term basis or for the entire duration of the project. The focus of my consultancy for directors of cultural organisations is set on developing, improving and implementing management instruments and on supporting in case of reorientation and change of directorship: Developing mid- and long-term strategies, implementing financial and controlling instruments, improving working structures and procedures, personnel management and leadership abilities. Consultancy can be offered either on a short-term basis or for a longer period, i.e. as interim-manager within the organisation. As regards the financing of cultural projects, my consultancy is focussed on grant-applications to the European Union and international foundations. It includes conceiving projects, writing applications, researching international cooperation partners as well as the administrative and financial follow-up of awarded projects. I advised the coordinator of the European Concerthall Organisation – ECHO in the conception, the writting and the budgetting of the platform Classical Futures Europe in the frame of Creative Europe. Since the official start of the project end of last year, I am in charge of the financial management of the project. Kultur Ruhr GmbH is, amongst others, the organiser of Ruhrtriennale. Between April and June 2017, I was managing director ad interim of the organisation. During these four months, I was responsible for the budget, human resources and all other relevant business matters. Together with Thomas Kulke and mobidev, I developed a software for the financial management of cooperation projects in the frame of Creative Europe. The software facilitates the collection of expenditures from the partners, gives real-time financial overviews and produces with a single click the report for the EU. More information about this project can be found here. Since August 2017, Chris Dercon is the new director of Volksbühne Berlin. I advised the preparation team during the last two years in human resources planning, financing, strategic planning. Together with Madeline Ritter, I conceived and formulated the successful application Dance On, Pass On, Dream On as a larger scale cooperation project in the frame of the Creative Europe program. Today and until the end of the project in 2018, I am in charge of the financial management of the project and contact for all financial questions for the partners of the project. I accompanied Bettina Masuch and the team of tanzhaus nrw as an external adviser for several months. We prepared a report on the current state and the future evolution of the house and operated some changes in the structure of the organisation and the working process. Together with two database-specialists, I developed a project-management application for the Berlin theatre HAU – Hebbel am Ufer. Since beginning of 2015, the application supports the team of HAU in the preparation and realisation of all projects. The application is based on FileMaker 13 and covers all aspects of cultural projects: Information management, budgeting and scheduling. We are currently developing the application for other cultural institutions. The city of Guangju in the south-western part of South Korea has developed one of the most important cultural projects in Asia, including the Asian Arts Theatre as a contemporary presentation and production house. The theatre opened its doors in September 2015. Together with Frie Leysen, Max-Philip Aschenbrenner and Kim Seong-Hee, I developed a masterplan for the performing arts programme as part of the cultural centre. The plan included strategic guidelines, suggestions on positioning the theatre in a national and international context, a detailed budget for the initial years and a time schedule. Also, I advised the director of AAT and her team in management questions until the opening of the theatre. The European Concert Hall Organisation (ECHO) is an active network bringing together many of the major concert halls in Europe in order to promote professional exchange, shared reflection and the initiation of joint initiatives.The network is co-financed by the European Union. I developed and implemented for ECHO a tailor-made financial reporting system which allows the different partners of the EU-project an accurate and easy registration of their expenditures and a real-time comparison between the budget and the actual costs. Also, the system simplifies the financial reporting of the project coordinator to the European Union. One of the most important stage directors from South Africa, Brett Bailey, realised a new interpretation of Verdi’s opera Macbeth. Set in Central Africa within the context of roving rebel armies, foreign mercenaries, horrific brutality and the plundering of natural resources by multinationals, this work is an anarchic deconstruction of the original opera. I prepared an application for the strand 3rd countries of the European Union for the production and the presentation of this new work. The EU selected this project together with seven others. The application was submitted by the festival Theaterformen in Hanover/Germany; co-organisers of the project are Wiener Festwochen in Vienna/Austria, KVS in Brussels/Belgium, Barbican in London/UK and Ferme du Buisson associated with Festival d’Automne in Paris/France. The piece was premiered in May 2014 and is presented worldwide since then. Roger Christmann was born in Eupen (Belgium) in 1971. He currently lives in Berlin and speaks and writes German, French, Dutch and English. From 2001 to 2011 he worked as managing director of several international festivals in Belgium and Germany, since November 2011 he is an independent consultant. 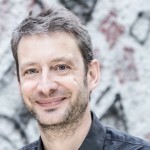 2008–2010: Managing director of the German festival Theater der Welt 2010 in Mülheim an der Ruhr and Essen. 2011: Managing director of Radialsystem V in Berlin.